If I can get up to 200 Followers I will give away my copy of Shiver (after I read it). You will find the option to follow me BELOW the next two posts (which you are free to read too!) Just click on follow, then leave me a post here! easy peasy So peeps, tell people to find my blog and friend me and they're included to win a copy of Maggie Steifvater's Shiver I need 10 more followers to hit 200 and if you're new follower I'll like you to comment that you're following me RIGHT here. (you oldies don't need to comment, just my new followers) How does that sound. THIS contest includes EVERYONE!!!!! What are you waiting for GET GOING! I am already following you and I just got Shiver in the mail. So why am I commenting? I don't know! I already follow and I <3 your blog! I really want to win this book! Are you reading it now? Guess you'll give it away when you get to 200 followers, whenever that may happen or is there a date to reach it by or else you'll keep the book all to your self?!?!? Congrats! You have something here. New follower who's dying to read Shiver! Been wanting to read this one! Yes, I follow. Hope you make it to 200; that's my next goal as well. I'm a new follower :-) good luck getting 200! Shiver is calling my name! I'm a new follower! Thanks for the contest! Hi Laura, I'm glad I found your site! (through Nathan Bransford's blog)I would love to read Shiver. Thanks for the contest! I'm a follower. I so want this book! Im already a follower!!! But i am going to email my whole adress book to start following you. Well maybe not my whole adress book. HAHA,I want to read this book too! I like ur blog! I'm following now, yay! Loved this book. Really loved it. But became a follower anyway. Hey! Great contest! I'm following now. lol. I'm following your blog! I was the 150 follower! So only 50 more to go! 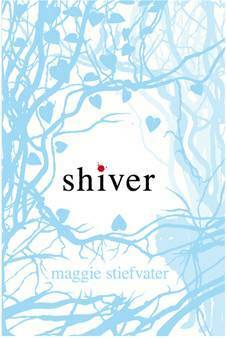 I would love to read Shiver, it looks amazing! I would love to be included in your giveaway. Hey, I decided to follow and then found this post: cool! I'd love to enter the contest for Shiver, sounds cool! I'd love to win this book. I'm a new follower.Only 40 more to go! You don't have to give me your copy of Shiver, just follow me and I'll follow you. Glad I stumbled on to your blog. Looks great! Will be visiting from time to time as updates from your blog pops-up on my dashboard. I'm a subscriber but now a happy follower =) Thanks for the contest! I would love to read Shiver! I would really like to win this book. I just joined your blog as a new follower! I'd love this. I hope you reach 200!! I'm dying to read this one. I'm a follower. I hope I win, this book looks fantastic! I am now following your blog. I love Maggie!!! I'm an old follower. Can't wait to read! I wanna join, I'm a follower. I'm following you...so count me in! I'll Enter anyway! Your Great, and I follow! Love the site, I follow!